I’m a huge fan of face masks and the weirder the better! Recently I dug out three of the most unusual ones I own to try out. So here’s a look at how I found them. Promises to…Give ultimate radiance and deep hydration. 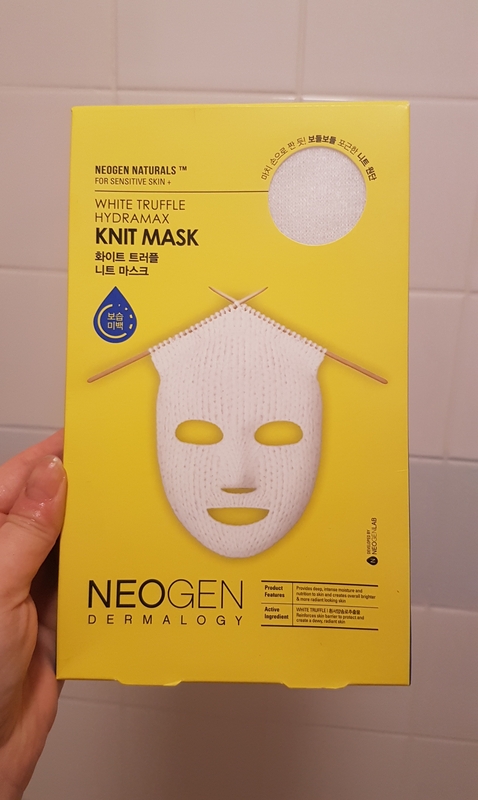 Unusual because…It’s a knitted face mask. How did I find it? 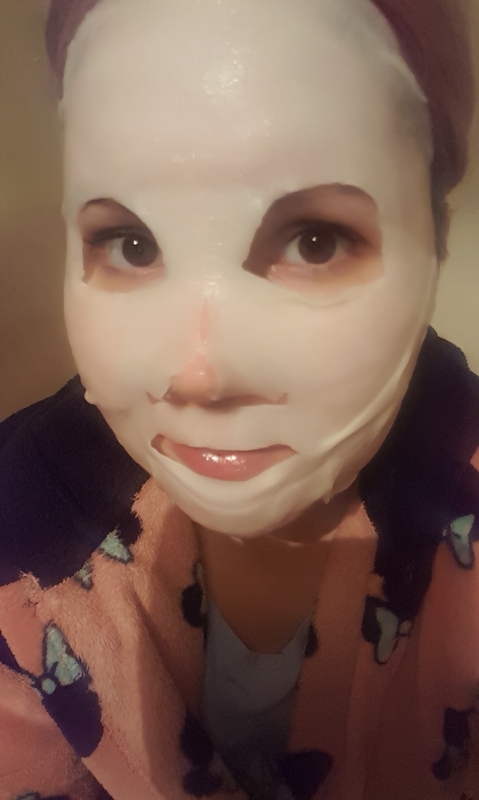 Despite the name, I wouldn’t describe this face mask as being a ‘knit mask’, as it’s actually made from a thick, bandage-like material. It felt really comfortable to wear, as well as good quality. I had no irritation whilst using this mask or after. So did it work? Yes. I found that my skin looked brighter and healthier and this mask put a good amount of moisture back into my skin. Promises to…Brighten skin and improve skin texture. Unusual because…It’s a two-step rubber mask. How did I find it? 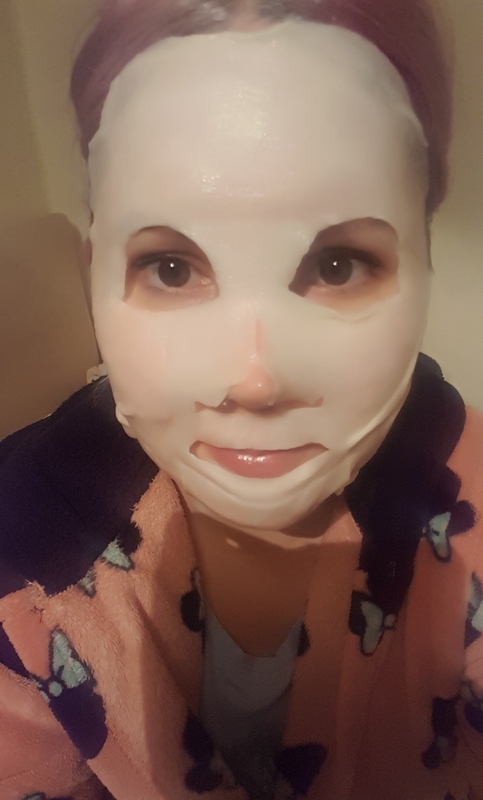 This is a two step mask, where you apply a slightly sticky feeling serum on to your skin and then follow it up with the rubber mask. 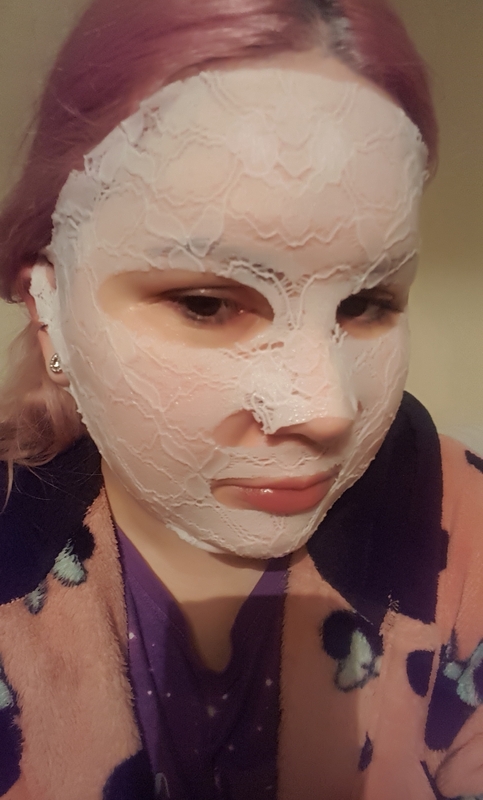 Despite the mask being quite thick, the quality was poor as it tore when I applied it to my face. It felt cooling on my skin but wasn’t comfortable to wear. So did it work? Yes. 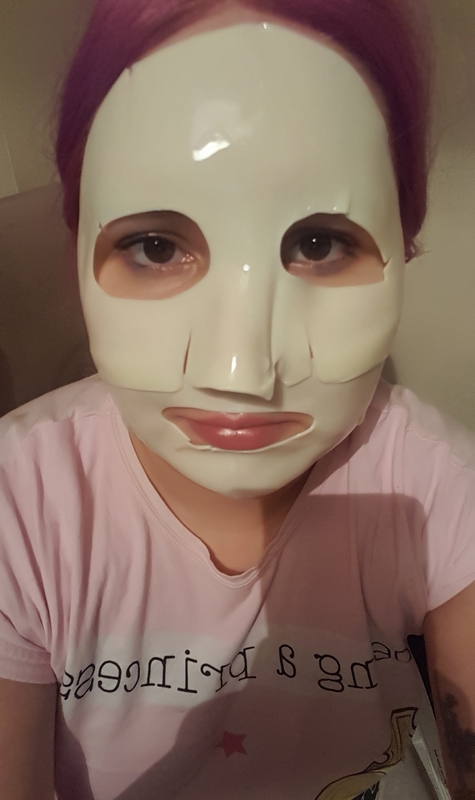 The mask did brighten my skin, however the effects only lasted for a day so I found this mask pretty disappointing. Promises to…Reshape dull and sagging skin, creating a natural face lift. Unusual because…It’s a lace mask that promises to resculpt your face naturally. How did I find it? The design of this mask is quite dainty and pretty. It fit my face nicely and the straps that go over your ears were comfortable to wear. 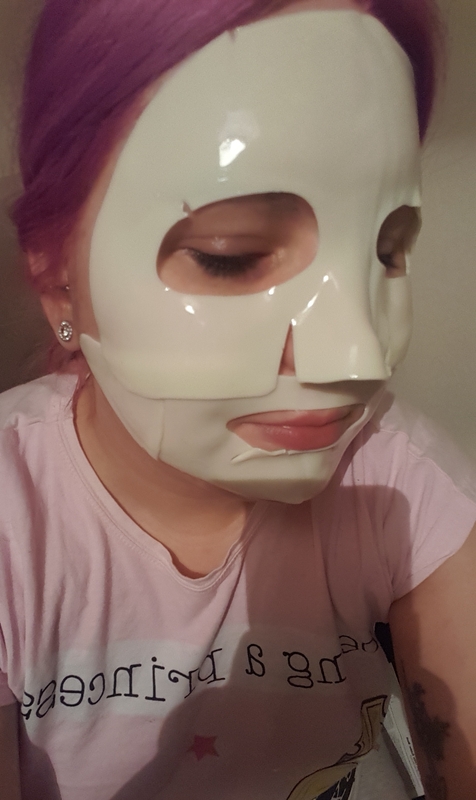 The only downside was there was a lot of serum to massage into my skin after removing this mask. So did it work? Kind of. I have a bit of a double chin that I wouldn’t mind toning up and this helped a bit. My skin overall did feel tighter and lifted, but I would have liked to have seen better results. It’s recommended to use this mask once or twice a week, which can be pricey as it’s £9 per mask. I had two of these in my collection, both of which I tried within a week. Let me know if you’d try any of these masks. The knit mask in on my pile of ones to try next! 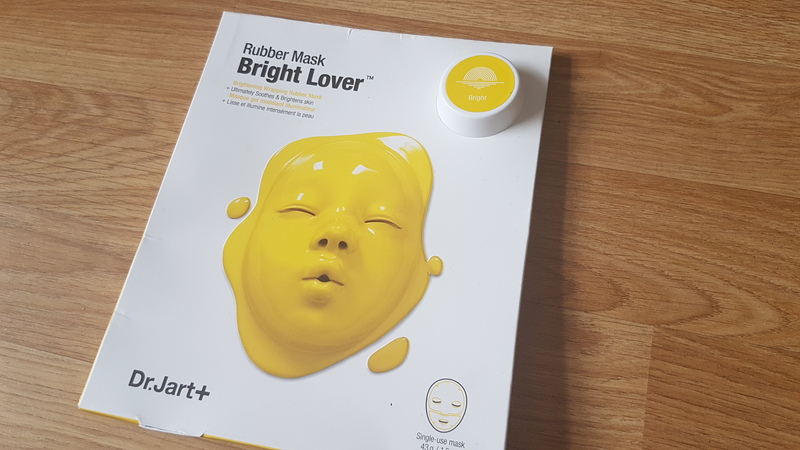 I am so excited to try it since I like a very form fitting mask. Thank you SO much for sending it to me. I will report back! 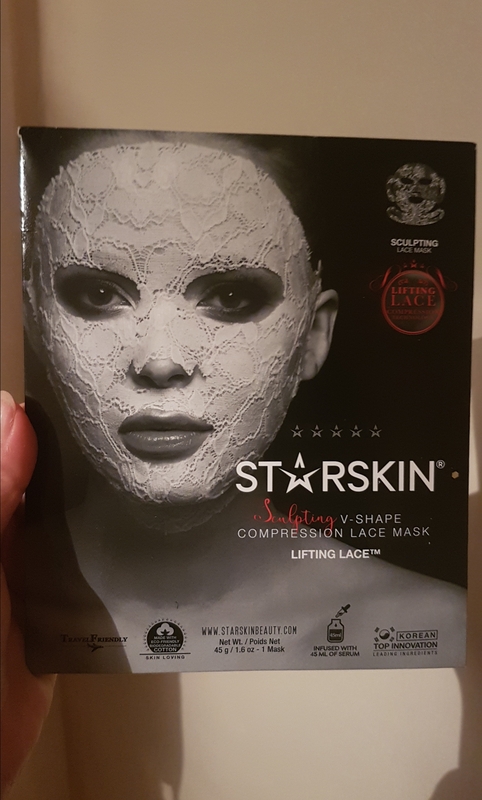 Haha, I was hoping you would review these masks when I saw your Insta stories 😉 The lace mask looks real pretty, I tried Starskin mask once before and I remember it to be good but have to say for that cost I don’t feel it is enough (still want to try the lace though 😄). How many times a week would you do a face mask? 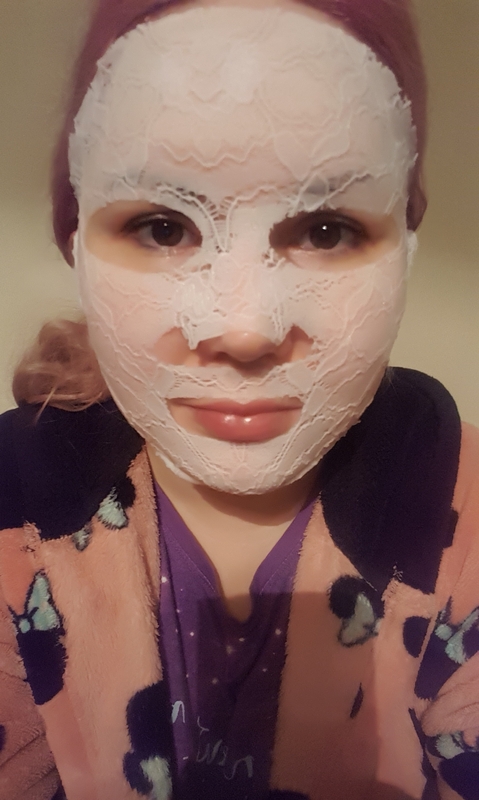 Oooh a lace mask! So fancy looking hehe. I like the idea of the knit mask, even though it was a bandage-like material. I feel like it would be good at soaking in all of the serum for when you put it on your skin. Completely agree with everyone else the lace mask looks like a masquerade party one! I love using masks as I have very dry skin. I will be looking out for these. thanks for highlighting them. I am using a mask three times a week now and notice the good results. 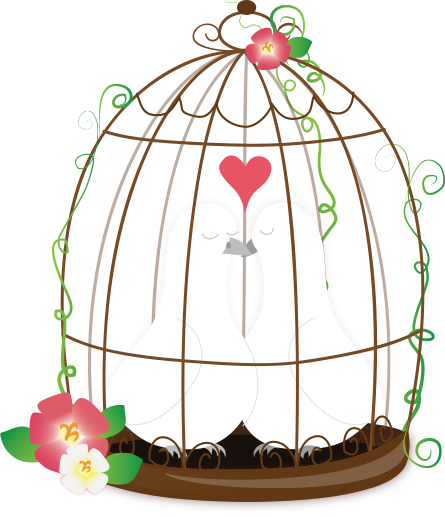 lovely weekend to you DanniJ! I get a lot from Face Shop and Sephora, not really found a one I would buy regularly as we have so many I am yet to try. They are very soothing at night just before bed and I like to rub all the excess over my body, it gives a very lovely glow the next day. All three masks look really cool. The lace one is so pretty! Wow, these masks are truly unusual. The “knitted” mask sounds great! The rubber mask sounds awful – and it looks quite scary! I like that the lace mask has ear straps. But I wouldn’t spend that much money on a face mask (OK, maybe once for testing purposes…). They are! At least there was one out of three you’d repurchase. I just feel like when I look at them, they don’t look like they stick to the face much? Like they’re floating on your face and I’m like how can that do anything! the lace mask looks really neat!